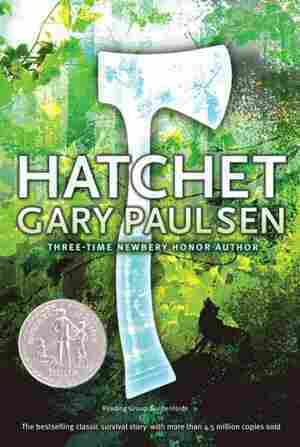 Hatchet NPR coverage of Hatchet by Gary Paulsen. News, author interviews, critics' picks and more. Headed for Canada to visit his father for the first time since his parents' divorce, 13-year-old Brian is the sole survivor of a plane crash, with only the clothes he has on his back and a hatchet to help him live in the wilderness.